Next, Madison is home to the Madison Museum of Contemporary Art (MMoCA) and Chazen Museum of Art at University of Wisconsin. And head to Green Bay where you will find the Neville Public Museum, or stop in Kenosha to explore the Kenosha Public Museum or Anderson Arts Center. Finally, Racine is home to the popular Racine Art Museum (RAM) and the Artist Gallery—a cooperative of 40 regional artists established in 1998. Wisconsin is also home to a variety of performance art venues, art associations, and hundreds of independent groups that help keep the art and culture scene alive. Besides housing a large number of art venues and organizations, Wisconsin’s major cities are home to many of the state’s top art and design schools. Just a few include Milwaukee Institute of Art & Design, Peck School of Arts at the University of Wisconsin Milwaukee, University of Wisconsin at Madison, Alverno College in Milwaukee, and Carroll University in Waukesha. Wisconsin is home to 84 Title IV colleges and universities. More than 300,000 students are enrolled, with thousands enrolled in the state’s top art schools. Continue reading to learn more about what Wisconsin’s top schools have to offer and where to find them. In 2013, Wisconsin was home to 32,620 professionals working in Arts, Design, Entertainment, Sports, and Media (ADESM) occupations. They averaged $44,230 per year. Today the state is home to 33,740 professionals in ADESM occupations and they average $45,320 per year. Salaries and employment growth vary based on factors from industry to location. For example, Wisconsin-based animators average $45,980 per year, while less than 100 miles away in Illinois, they average $68,830 per year. Head down to Texas and the average salary for animators hovers around $57,000 per year. The following is a snapshot of employment and salary trends for several popular fields within the ADESM group. Animators and Multimedia Artists: Wisconsin was home to 360 animators and multimedia artists in 2013 and they averaged $46,880 a year. The state is home to 260 animators and multimedia artists averaging $45,980 per year. 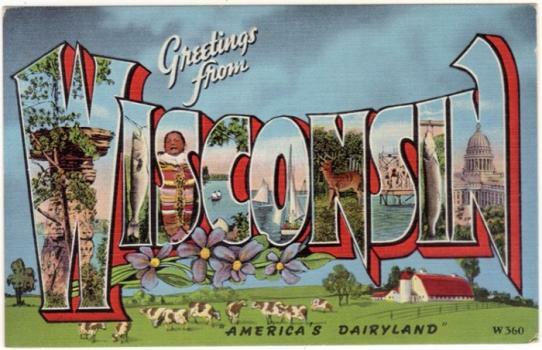 Art Directors: In 2013, Wisconsin was home to 590 art directors averaging $69,140 a year. Today, the state is home to 610 art directors averaging $77,830 per year. Craft Artists: Wisconsin was home to 110 craft artists in 2013 averaging $29,080 per year. The state is still home to 110 crafts artists earning a slightly higher average salary of $32,230 per year. Fine Artists (Painters, Sculptors, and Illustrators): Wisconsin was home to 170 fine artists in 2013 averaging $39,300 per year. The state is home to 190 fine artists today averaging $41,470 per year. Graphic Designers: Wisconsin was home to 4,530 graphic designers in 2013, averaging $42,460 a year. Today, the state is home to 4,750 graphic designers averaging $45,810 per year. The U.S. was home to 1,750,130 professionals working in ADESM occupations in 2013. The average salary was $54,490 per year. Today, the U.S. is home to 1,793,700 ADESM professionals and they average $55,790 per year.